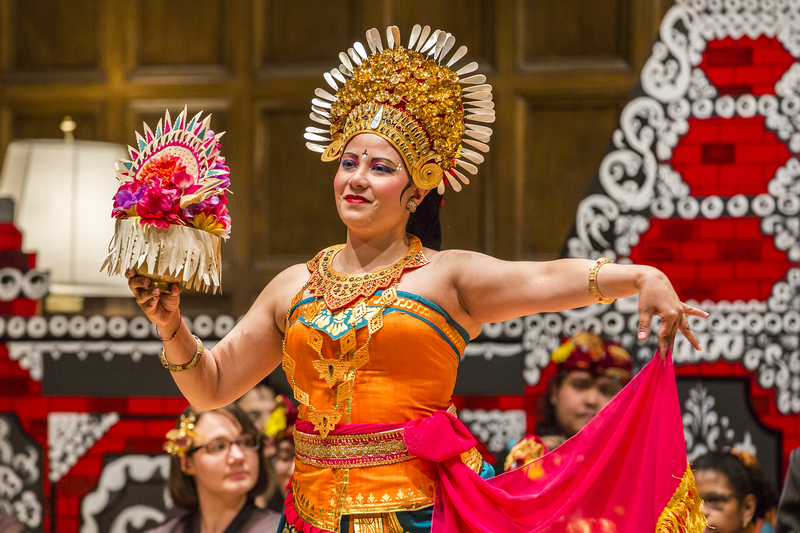 The Barbara B. Smith World Music Series brings Eastman Gamelan ensembles Lila Muni and Sanjiwani, performing Monday, April 29 at 7:30 p.m., for a colorful celebration of Balinese music and dance in Kilbourn Hall at Eastman School of Music. Sponsored by a generous gift from Barbara B. Smith, the World Music Concert Series brings the richness of global musical traditions to Eastman through performances by world-renowned artists. 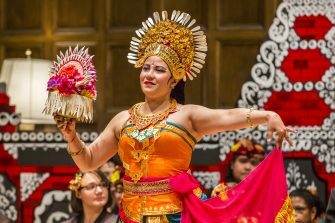 Since 1993, Eastman Gamelan Lila Muni has provided students and members of the Rochester community the privilege to learn music from two very different Balinese gamelan ensembles: Gamelan Lila Muni (Heavenly Sound) and Gamelan Sanjiwani (Life Force). Gamelan Lila Muni is an ancient four-tone gamelan angklung which traditionally performs music for rituals and ceremonies. Gamelan Sanjiwani, of the five-tone gamelan gong kebyar, is an ensemble developed in the 20th century associated with youthful exuberance, playing music characterized by explosive changes in tempo and dynamics. Eastman’s gamelan ensembles perform throughout the northeastern United States and in Canada in programs of traditional and contemporary Balinese music, present interactive workshops for audiences of all ages, and engage in creative collaborations with Western musicians and composers. In recent years, we have collaborated with Bobby McFerrin and the Paul Winter Consort, and have premiered new compositions by composers Wayne Vitale, Robert Morris, Jennifer Fontana Graham, Daniel Ianantuono, John Orfe, and Payton McDonald, including a number of Eastman student composers. Gamelan at Eastman, as in Bali, is a communal effort. 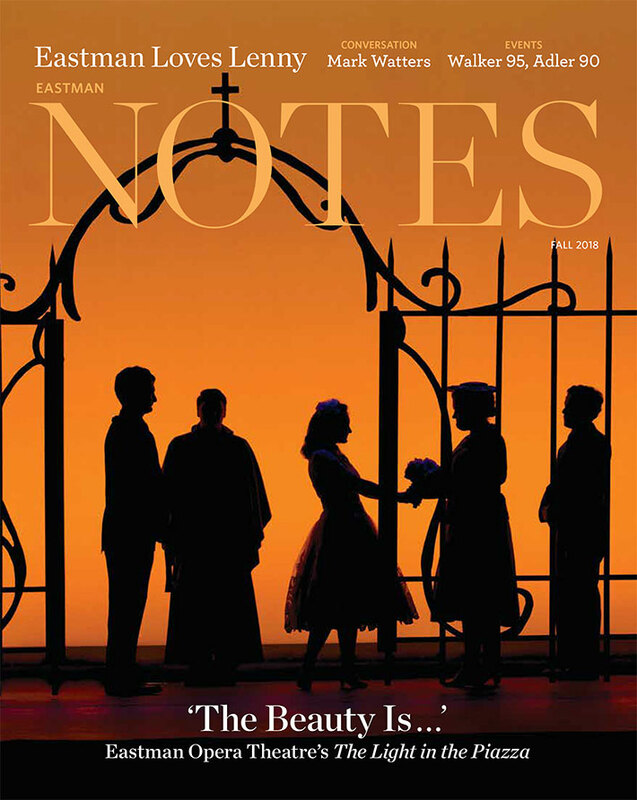 Members include Eastman students, faculty, and staff, as well as many members of the Rochester community. The music is learned through the oral/aural tradition without the use of notation, and therefore requires the players to work together closely for long periods of time. The result is a sense of group unity and pride, as the audience hears the music and witnesses the collective efforts of the ensemble. About 900 students are enrolled in Eastman’s Collegiate Division—about 550 undergraduate and 350 graduate students. Students come from almost every state, and approximately 20 percent are from other countries. They are guided by more than 95 full-time faculty members. Six alumni and three faculty members have been awarded the Pulitzer Prize for Music, and numerous alumni and faculty have received Grammy Awards. Each year, Eastman’s students, faculty members, and guest artists present more than 800 concerts to the Rochester community.